London remains Europe’s number one tech-hub for investment despite the EU referendum and subsequent triggering of Article 50, according to a report by London & Partners. 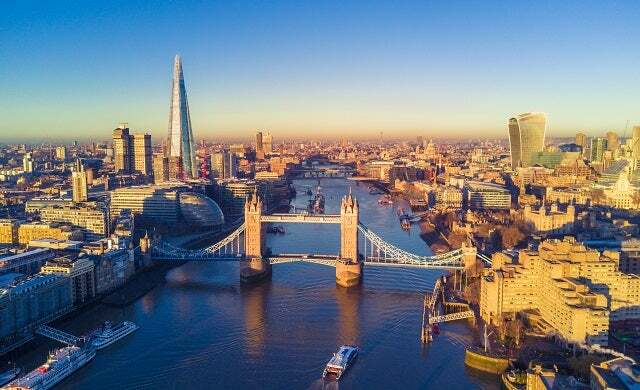 The data, which was compiled by the Mayor of London’s promotional agency, has revealed that VCs have invested more than £1.1bn into the capital’s tech start-ups in the last six months alone – with the UK receiving £1.3bn in total between January and June 2017. Indeed, despite increased public uncertainty with the triggering of Article 50 and a snap general election, this period saw four times the amount of investment compared to 2013 – and more than any six month period in over 10 years. In contrast to its European neighbours, London scooped over £1.8bn in VC funding across 544 deals, twice as much as second-placed Berlin which received just £775m over 136 deals since 23 June 2016. Not just a London thing, both domestic and foreign investors are also continuing to pump large amounts of captial into the wider UK tech sector, with Britain’s small businesses and scale-ups receiving £2.39bn worth of venture capital investment since Brexit – more than any European country since the vote, as well as Germany, France and the Netherlands combined. On a whole, the nation’s tech sector has a seen a record level of investment over the first six months of this year, with businesses in the capital accounting for over 80% of the total figure of £1.3bn. Some of the start-ups to receive big sums of cash from investors in previous months have included Improbable (£388m), Funding Circle (£82m), Zopa (£32m) and Monzo (£22m). While just yesterday, digital banking start-up Tide bagged $14m in a round led by Anthemis, Passion Capital, LocalGlobe, and Creandum. “The fundamental strengths of London as a centre for technology and business have not changed and we have everything companies need to be successful: policy makers, finance, infrastructure, world-class universities and talent. “London remains Europe’s leading hub for global investors. The Brexit vote has understandably created some uncertainty but it is no surprise to see that London continues to attract more than double the amount of investment than any other European city.